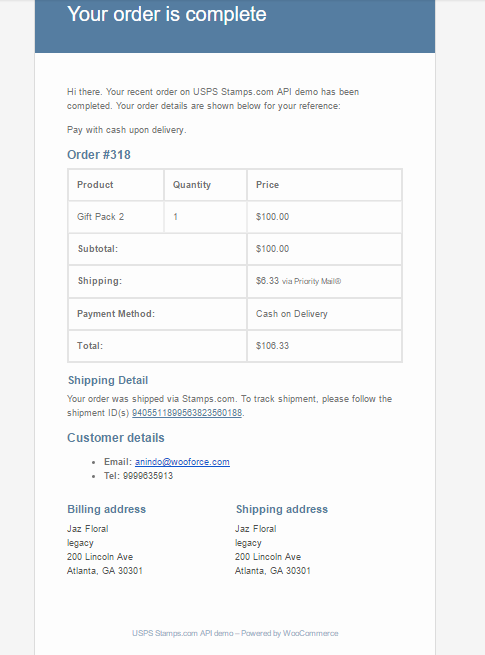 I am considering the stamps.com plugin because I want to include the stamps.com tracking number in a “completed order” email from my website, in addition to the tracking email generated from stamps.com itself. Can you send me a screenshot example of that part of your plugin? We already have shipping rates in place. Sure ! We have attached snapshots of the order completion email (with tracking number). Let us know if that will work for you.